I never imagined when I opened the first pages of the Book. 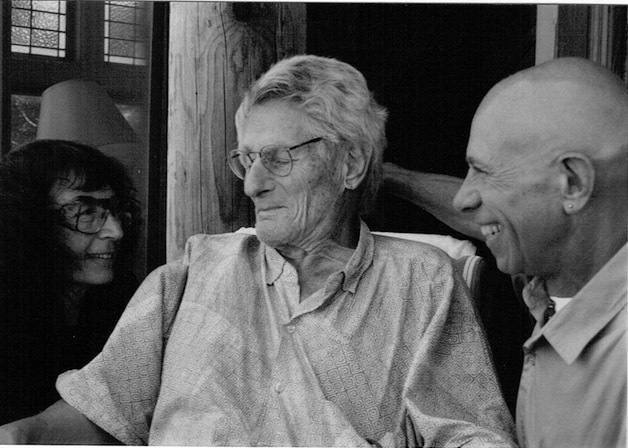 "Center of the Cyclone",by John C. Lilly, M.D., 'An Autobiography of Inner Space'' that a highly credentialed neuroscientist, psychoanalyst, MD, etc. was recommending changing ones state of consciousness. "It is my firm belief that the experience of higher states of consciousness is necessary for survival of the human species" and "The higher states of consciousness and the means of reaching them are an economic asset worth more money than one can currently measure." These changes were to be brought about by groups working together with several therapeutic tools - one of the 5 or 6 tools was - isolation- solitude- confinement- referring to his recent research - 1954 - with the "isolation- tank". These values were very compatible with the values Glenn's parents taught to the Perry kids. They were farmers, members of the Grange, active in their local town government and church. I signed up for the workshop I saw advertised By Dr. John Lilly 2 weeks later and only a 3 hour drive away from my home. This workshop changed my life. Start of Samadhi Tank Co.
"When I bought the tank I expected to have experiences similar to those that Dr. Lilly writes about. When I finally got into the tank, all I found was those expectations and nothing more. No visions, no 3D objects before my eyes, no leaving my body, no other entities, no infinite space, no nothing. At first it was quite a shock, but actually, this is what the tank is all about - revealing to you your own assumptions, which are usually so implicit that you don't even know they are there." a) If you shave 2 or 3 hours before using the tank, the shaved skin will sting for a few minutes. If you can postpone your shaving, you will probably be more comfortable. b) If you wear contact lenses, it would be a problem if any salt water got into your eyes. If you remove your contacts you don't have to be concerned about it. c) If you have caffeine before you float, it may interfere with your ability to relax. Yes, we know that children use the tank and we don't know much about their responses. A 7 1/2 year old came to a public center with his mother. He listened to the orientation she was receiving. When he heard about the fears, he said he was very afraid of the dark. Later, when he used the tank, he was asked about the fear of the dark. He said that was a different dark. Night time dark was scary and full of dragons, and the dark of the tank was friendly and nice. What effect does salt water have on my skin and hair? Yes, you can wear one, but it won't keep your hair dry. It would be too tight around your head to keep you hair dry. Since it is a private experience, most people don't wear anything. Anything you wear will press against your body, becoming a distraction. In this regard imagine it as similar to getting into your bathtub. Do people sleep in the tank? Will I float? I can't float anywhere. Yes. It is impossible not to float in the tank. Eight hundred pounds of salt dissolved in the water make the solution so much denser than your body that your body is pushed to the surface like a cork. Your face is out of the solution and your ears are underwater. No. Not unless they lay face down in it, and are capable of tolerating the sting of the salt on the eyes, nose and mouth. People who say that they are afraid to use the tank because they are claustrophobic probably assume that they will be confined to an enclosed space. However, you can use the tank with the door open if you wish. You are in control of the situation and can get in and out when ever you want. You should use it in the way it's comfortable for you. The tank is such an excellent place to go through claustrophobia that if you want to get rid of yours, it is probably the best place to do it. The tank is designed not to be airtight, so there is a plentiful air supply. In addition, fresh air is brought in by an air circulation system. We don't recommend it. Floating in the tank is intended to be a private, individual experience. The first time public places usually schedule an hour.Some people use the tank for shorter sessions and others find 2 or 3 hour sessions very valuable. Of course the "perfect" way is to stay in until you want to get out. You may be able to arrange that in a public place.Experiment with your own time in the tank to discover what is best for you. One of the many advantages of having your own tank is that you can set the amount of time that is best for you without any restrictions. We don't know what it will be like for you since it is such an individual experience. The most common reports are profound peace and relaxation, deep concentration and creativity. We like to avoid saying too much before people use the tank, so that they aren't influenced by what someone else says. Not only will it be different for you than it is for anyone else, it will be different each time. Yes, if you want to make use of the potential. For us floating is not a finite experience. It touches the infinite. Most people, but not all, get a sense of what floating will be like after they float 3 to 5 times.Those who see the potential the first time, want to return again and again. No.This is a matter of individual preference. Some people prefer morning, some prefer night. The best way to find out is to experiment by using the tank at different times of the day. Yes. And it may be good to arrange your time so you don't have to rush. Many people enjoy savoring the peace and quiet before jumping into something hectic. The term "sensory deprivation" describes areas of scientific research that consider the effects of reduced environmental stimulation. The words are an unfortunate choice for those of us who are presenting the floating experience as something pleasant, attractive and relaxing. We notice that people run away from us when they hear the possibility of any form of deprivation. As a result we are careful to point out that the senses are fully operational and in fact, the senses are very pleased to be relieved from the prevalent atmosphere of sensory overload. Stimulus reduction is an accurate description of the tank environment. For more information about sensory deprivation.